In French history, lettres de cachet were letters signed by the king of France, countersigned by one of his ministers, and closed with the royal seal, or cachet. They contained orders directly from the king, often to enforce arbitrary actions and judgements that could not be appealed. In the case of organized bodies lettres de cachet were issued for the purpose of preventing assembly or to accomplish some other definite act. The provincial estates were convoked in this manner, and it was by a lettre de cachet (in this case, a lettre de jussipri), or by showing in person in a lit de justice, that the king ordered a parlement (a court of justice) to register a law in the teeth of its own refusal to pass it. The best-known lettres de cachet, however, were penal, by which a subject was sentenced without trial and without an opportunity of defense to imprisonment in a state prison or an ordinary jail, confinement in a convent or a hospital, transportation to the colonies, or expulsion to another part of the realm. The wealthy sometimes bought such lettres to dispose of unwanted individuals. In this respect, the lettres de cachet were a prominent symbol of the abuses of the ancien régime monarchy, and as such were suppressed during the French Revolution. This meant that when the king intervened directly, he could decide without heeding the laws, and even contrary to the laws. This was an early conception, and in early times the order in question was simply verbal; some letters patent of Henry III of France in 1576 state that François de Montmorency was "prisoner in our castle of the Bastille in Paris by verbal command" of the late king Charles IX. In the 14th century the principle was introduced that the order should be written, and hence arose the lettre de cachet. The lettre de cachet belonged to the class of lettres closes, as opposed to lettres patentes, which contained the expression of the legal and permanent will of the king, and had to be furnished with the seal of state affixed by the chancellor. The lettres de cachet, on the contrary, were signed simply by a secretary of state for the king; they bore merely the imprint of the king's privy seal, from which circumstance they were often called, in the 14th and 15th centuries, lettres de petit signet or lettres de petit cachet, and were entirely exempt from the control of the chancellor. Norman F. Cantor, The Civilization of the Middle Ages 1993. While serving the government as a silent weapon against political adversaries or dangerous writers and as a means of punishing culprits of high birth without the scandal of a lawsuit, the lettres de cachet had many other uses. They were employed by the police in dealing with prostitutes, and on their authority lunatics were shut up in hospitals and sometimes in prisons. They were also often used by heads of families as a means of correction, for example, for protecting the family honour from the disorderly or criminal conduct of sons. The case of the Marquis de Sade (imprisoned 1777 - 1790 under a lettre de cachet obtained by his wealthy and influential mother-in-law) is a prominent example. Wives, too, took advantage of them to curb the profligacy of husbands and vice versa. In reality, the secretary of state issued them in a completely arbitrary fashion, and in most cases the king was unaware of their issue. In the 18th century it is certain that the letters were often issued blank, i.e. without containing the name of the person against whom they were directed; the recipient, or mandatary, filled in the name in order to make the letter effective. Protests against the lettres de cachet were made continually by the parlement of Paris and by the provincial parlements, and often also by the Estates-General. In 1648 the sovereign courts of Paris procured their momentary suppression in a kind of charter of liberties which they imposed upon the crown, but which was ephemeral. It was not until the reign of Louis XVI that a reaction against this abuse became clearly perceptible. At the beginning of that reign Malesherbes during his short ministry endeavoured to infuse some measure of justice into the system, and in March 1784 the baron de Breteuil, a minister of the king's household, addressed a circular to the intendants and the lieutenant of police with a view to preventing the most serious abuses connected with the issue of lettres de cachet. 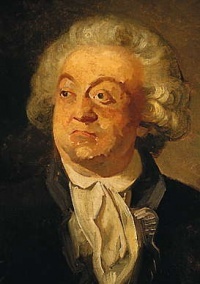 The Comte de Mirabeau wrote a scathing indictment of lettres de cachet while imprisoned in the dungeon of Vincennes (by lettre de cachet obtained by his father). The treatise was published after his liberation in 1782 under the title Les Lettres de cachet et des prisons d'etat and was widely read throughout Europe. In Paris, in 1779, the Cour des Aides demanded their suppression, and in March 1788 the parlement of Paris made some exceedingly energetic remonstrances, which are important for the light they throw upon old French public law. The crown, however, did not decide to lay aside this weapon, and in a declaration to the States-General in the royal session of 23 June 1789 (art. 15) it did not renounce it absolutely. Lettres de cachet were abolished after the French Revolution by the Constituent Assembly, but Napoleon reestablished their penal equivalent by a political measure in the decree of 8 March 1801 on the state prisons. This is all the more striking, given that Napoleon had pushed for measures ensuring the rule of law in the codes of laws adopted under his rule. This action was one of the acts brought up against him by the senatus-consulte of 3 April 1814, which pronounced his fall "considering that he has violated the constitutional laws by the decrees on the state prisons." Honoré Mirabeau, Des Lettres de Cachet et des prisons d'état (Hamburg, 1782), written in the dungeon at Vincennes into which his father had thrown him by a lettre de cachet, one of the ablest and most eloquent of his works, which had an immense circulation and was translated into English in 1788. Dr. Manette, in Dickens' A Tale of Two Cities, was thrown into the Bastille prison by means of a lettre de cachet. In addition, Charles Darnay suspected that his uncle, a marquis, would have used a lettre de cachet to throw Darnay in prison if it weren't for the fact that the Marquis had fallen out of favour with the Court. In Alexandre Dumas' The Three Musketeers, D'Artagnan escapes prosecution for the death of Milady by means of an ambiguously worded lettre de cachet given to Milady for her own use by the Cardinal de Richelieu. Thomas, D. "The Marquis de Sade". (1992) de Sade's mother-in-law, Madame de Montreuil obtained multiple lettres de cachet to ensure de Sade's continuous imprisonment in the Bastille and Charenton. in Robert A. Heinlein's science fiction novel Stranger in a Strange Land, Jubal Harshaw uses the term metaphorically, to describe the warrants against himself, Valentine Michael Smith, and Gillian Boardman; the accusation is considered severe enough that the authorities immediately back off to avoid appearing tyrannical. Unless indicated otherwise, the text in this article is either based on Wikipedia article "Lettre de cachet" or another language Wikipedia page thereof used under the terms of the GNU Free Documentation License; or on original research by Jahsonic and friends. See Art and Popular Culture's copyright notice. This page was last modified 10:51, 15 April 2010.